If you consider yourself a part of this new-age digital world that we’re currently in the process of building, then you must promptly familiarize yourself with all the latest gimmicks and features that make it what it is. Digital growth has taken place at light speed in the past few years. Since the advent of smart-computers, smartphones, and the internet, we’ve somehow managed to immerse ourselves in so much of technological intervention, that perhaps we didn’t realize when we went on to become a truly digital race who like to live, work and play the digital way. Everything from our phones to our televisions, music players to fitness devices, everything is now connected and interlocked on the web. All of these different technologies interact and come together, and most importantly work together to make our lives easier than they have ever been. It’s actually pretty hard to imagine that all of this happened in no more than about the past decade. That is all the time it took to take us from handwritten letters and slow telephonic calls to emails and live broadcasted videos. But if there was one thing that somehow managed to remain untouched by all of this intervention until the past couple of years, it was our money. Currency, somehow always referred to hard physical bills of cash or coins, which must be physically handed over to the bearer. And yet, even that concept has started to fade. With technology that has all but taken over our lives, we’re now rapidly moving towards, or probably are in, the world of digital currency. With money transfers that happen in the blink of an eye and digital wallets meant for storing virtual cash, it is all coming together in terrific harmony. The niche of digital currency actually received its biggest boost ever with the advent of cryptocurrencies. As soon as the Bitcoin became a reality, and then went on to become the most successful venture ever, people knew that we’ve now successfully made the transition over to currency that can be stored and transferred rather than touched. But with the advent of new technologies, emerges the need for new means to adapt to and use them. Similarly, with the rise in cryptocurrencies, there has risen the need for such extensive and efficient platforms which can easily manage all our crypto-coins and also aid us in buying and selling them without much hassle. We need platforms which, under reasonable rates allow us to store, transfer and make purchases with our cryptocurrencies. And this is the reason why conscious efforts are sincerely being made to come up with new technologies and platforms where users can easily create accounts and then log-in to get a one-stop solution to their cryptocurrency problems. One of such platforms is itBit, which promotes itself as a cryptocurrency exchange service which deals in the most popular currency of today, Bitcoins and offers the flexibility to make transactions, buy or sell more coins, and additionally, also supports the over-the-counter, or OTC service. itBit was launched back in November 2013 and the central base of operations for them is in New York, United States of America. It happens to have an international office in Singapore and usually works by providing withdrawals and free deposits in Singapore dollars. itBit made an appearance at a time when Coinbase happened to have gained a strong dominion over the entire market share of the American region. The CEO and co-founder of itBit, Chad Cascarilla started this ambitious venture by amassing a total of an impressive $25 million with which they raced ahead of a lot of other cryptocurrency exchange services prevalent at the time. It was then announced that itBit would be functioning as a bank from New York which effectively meant that it was awarded the flexibility to operate freely and offer exchange-based services all over the United States of America. Such drastic measures had a direct correlation and effect on the market share of the company and itBit soon went ahead and exceeded the market capitalization of one of its toughest competitors, Coinbase. The one defining feature that separates itBit from the rest of the crowd is its verification process, which has been designed to make sure that absolutely no one without a valid ID is allowed to use the portal and exploit its services for any unfair means. itBit thoroughly follows all industry standards and the regulations as per which it works lay strong emphasis on anti-money laundering principles and keep a vigilant check on people looking to carry out any illegal or susceptible activities. Before you sign up for its services, itBit would require you to submit a copy of your government issued ID card which could include either your passport or your driver’s license. If you happen to submit your proof of residence then it must be submitted along with a legal but traceable document which must actually feature your full name and address. The address must be that of your present physical residence and the said document must be printed in the English language in any case. Now, this verification process isn’t completed instantly but may actually take anywhere from one to even three business days. Additionally, citizens from the United States of America may have to actually answer some questions generated by the pre-programmed system at itBit in order to fully complete the verification process. Now no service, especially that of a cryptocurrency exchange, is complete unless it supports a good number of popular currencies, at least from the region it is dominant in and easily allows users to make transactions the way they please. Fortunately, itBit happens to do just that. It actually holds support for currencies like the USD, EUR, and SGD. Additionally; all FIAT currencies have the potential to be easily traded against Bitcoins. Furthermore, no trading limitations have been placed on unverified accounts as of now. The first step for if you need to start trading on itBit is to go ahead and verify the transaction fee about which you will be duly informed on the website itself. Furthermore, you need to provide them with the receiving address so that the transaction can move forward. Finally, simply select the currency of your choice and make the payment after selecting the final confirmation option. Almost instantly, the applicable coins are credited into the user’s wallet. 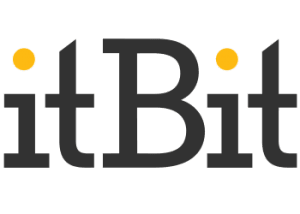 As an important note, itBit even offers purchases with Debit or Credit cards on crypto-currencies, although it is not a much-recommended option simply because of the excessively high transaction costs associated with it. itBit has been designed to make users feel completely at home and not at all addled by unnecessary information and complicated terms. The website has been created with utmost care, with special emphasis on a positive user experience and a smooth user interface. 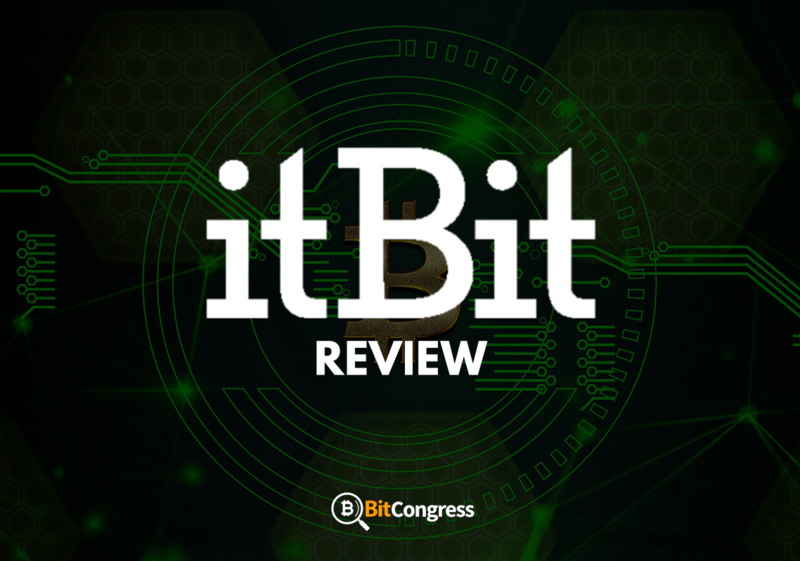 The programmers and developers behind itBit worked with the intention that even the most basic users with negligible information or background knowledge on crypto-currencies must be able to easily operate and utilize the platform. As soon as a user logs on to the website, the amount of money which needs to be exchanged needs to be fed into the system, which will then lead to the converted currency and the exact amount of it being displayed on the screen. 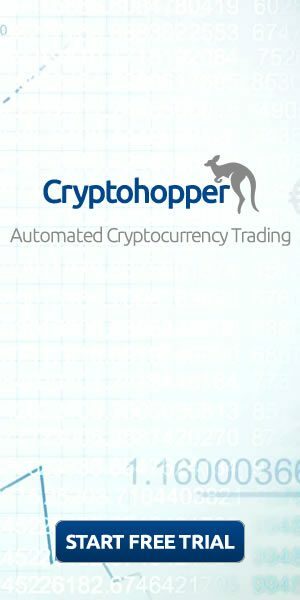 At this point, the user can either proceed with the transaction or once again make changes to their selections if they are not satisfied enough. For the user’s consideration, a number of details, such as rate of exchange, time of arrival and amount to be obtained are displayed on the screen along with the transaction fee which is charged by itBit for the respective transaction, which is about 0.20% of your transaction amount. To complete the transaction, simply transfer the required funds and you will soon get a confirmation email on your registered email address. On the downside, even though the website is extremely well designed and structured as mentioned earlier, it does not yet support Android or iOS applications. Users have reported that sometimes while going through a transaction or making a purchase, the website simply refuses to respond, and even the general usage of it has been cited to be a bit of a pain due to the surprisingly slow speed at which it works. Now while some users might shy away from using itBit because of the trading fee it charges, it might do you well to understand why this is actually economical and works the best in case of multiple transactions. First of all, you get to enjoy 0% maker fee. Additionally, when you are making large purchases such as those which include buying more than 25 BTC at a time, you get to enjoy a special fee which is much lower than the conventional fee they charge. This is the very reason why trading with itBit becomes extremely beneficial when making large BTC purchases. itBit is one of the few exchange services currently available that supports the maximum types of payment methods and gateways. There’s a high possibility that it has the capability to carry out the transaction you want and extends support to the region you are from. And it is not just diversity that you’re getting, for itBit also gives you a fantastic customer support team, which is quick in solving issues and caring for your needs. If that is not enough, at a taker fee of 0.2%, itBit happens to be one of the most economical services around. Furthermore, as a service which is headquartered in the USA, itBit can easily be accessed and the services used in all of the fifty states of the US, with the notable exception of Texas. Even outside the US, itBit can be accessed in most of the countries of the world. On the downside of things though, the verification process is fairly lengthy and may take up to three full business days. However, even that can be shortened or sped up for US residents through the usage of the knowledge-based authentication or KBA system. Security at itBit is actually nothing to lose sleep over as they take drastic measures such as the triggering of an automatic email that clearly features your login time and IP address which was used to login in order to prevent any unwanted access or security breach. Also, third-party security of the kind that utilizes multiple layer DDOs protection further enhances their security firewalls. Furthermore, itBit utilizes the trusted and widely-used two-factor authentication whenever a user signs in to avoid potential security risks. Now since crypto-currencies are a relatively new field, customers are still wary of trusting them and actually investing their hard-earned money in them, which is why all crypto exchanges must always have a stellar customer service team which can effectively convince customers of the benefits of investing and resolve their issues as soon as possible. itBit is no exception. While it does boast of a pretty capable customer service team, there are a few fundamental issues associated with crypto-currency exchanges in general which are yet to be rooted out. And just like the rest of them, itBit suffers from them too. But all said and done, itBit is doing a fine job at servicing its customers and there is almost nothing that you can particularly complain about. While there’s no simple answer to the question of whether or not itBit is the best crypto-exchange service out there, the fact that they are willing to go all out and do whatever it takes to keep their customers satisfied can’t be denied. With their affordable rates, fluid website design and great customer service, there is only the matter of the lack of margin trading, lack of mobile applications and non-availability of ACH transfers that stand in the way of itBit becoming the most sought-after player in the crypto-exchange business. Sign up to itBit here! Antminer S5 Review - Read Before Buying it!